Alright, so.. yeah. I've played around a bit with a few old characters so far..
Tuff Luck has been severely nerfed. She does much less damage overall and isn't as effective as she was in TT. Roller Brawl retains her speed, making her perfect for speedruns. Smolderdash has been nerfed, but this seems to be with quite a few melee characters, especially Bowser. Registered melee hits cause characters to slow down for around a second before continuing the animation. If several enemies are piled on your character, you'll most likely have to jump to avoid being hit. Feel free to post whatever major buffs or nerfs you find. I'm going to try High Five, Echo, Blades, Spotlight and Blackout out. I know those characters extremely well. 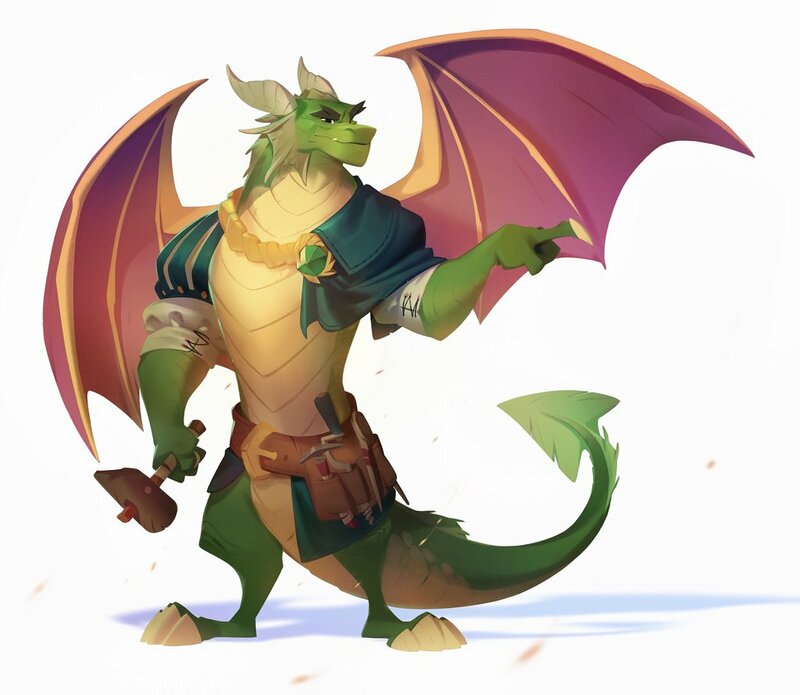 Spyro was buffed. Fireballs and Daybringer Flame have much more damage, and charge knocks enemies very far. Knight Mare looks nerfed - her shadow clones(now clones of her) seem to spawn 50% of the time instead of whenever it's a direct hit, and the Joust seems to take longer and move less. Tree Rex seems to be on par,but his elbow drop move changed to having to hold down both buttons at once instead of following with melee. Sonic Boom on the Medea path, very much nerfed. Her babies took a huge hit in AI and will attack anything BUT the enemies unless you clear the room first. All the Trap Master's were nerfed. Especially Wildfire. Anything on Trigger Happy? Played with him for the first time in Trap Team, and BOY was shooting giant yellow lasers that had extreme range+640 damage fun. Great. Bushwhack is one of my mains. How did he get nurfed? Well he only does 30-40-50 damage. Hes decent but not the best. Krypt King is still good for me. The swarm now gives a second before moving on to an enemy,so powering it up is much easier. Soul gem seems totally useless now though, the swords don't seem to do any damage,but I never relied on it. The Trap Masters have already served their purpose prior to STT just like the Swap Force back in SSF. My #1 concern is Blastermind. How is he to those who have him? Great. I loved his high damage in STT. Guess this what I get when I'm spoiled with high damaging attacks. Oh yeah,also most likely a glitch,but at least yesterday Pop Fizz's last Best of the Beast upgrade didn't work,pretty much making that path useless. At least Oversize Me still does its job if you try to use the path anyway,but it seems to activate differently - I got it once just by tapping the secondary attack. All 8 Elites were nerfed. TH used to do 90-98 per shot Now does 35-57 per shor. In your opinion. I think she was very good in STT. Ghost Roaster is finally back to being sorta good too, now he can attack multiple times the same enemy though with a small delay to prevent it from being too OP - just circle around attacking and it should be just fine. ....Ectoplasm mode is stiiilll useless,surprising no one. Frankly, the damage numbers in Trap Team was absolutely bonkers, but were still wimpy compared to villains. It COMPLETELY defeated some of the subtle strategy on selection because damage was a very subtle concept, not a 800lb gorilla. In my mind, this game keeps true to Swap Force on percentages and such. In my mind, it's less nerf and more "rightsizing damage" relative to the system VV and TfB has already developed. I say all of this just by evidence of the new SuperChargers and the few views I've seen. There's also no MOTLEY group of 20 villains to defeat. VV's villains can be few in number but all have different capabilities that make it VERY challenging. The TT guys just plod to your vector and then start attacking for the most part. Very boring. It's hard to say what's truly a nerf since we don't know what HP levels are like from T.T. to S.C. the best way to test it T.T.K. (Time to kill for those that don't know) for comparable enemies. There's always a stat difference between V.V. and T.F.B. games (really hate that b.t.w.) so T.T.K. is the only real way to measure power levels. How many hits can you take from big guys and how many hits to the big guys take to kill is really the way to tell. Numbers don't mean much. Zoo Lou's birds appear to be a lot less spam-able now. No this can't be. How dare they nerf the mighty !?!??!?! It's a total shame to hear that, but thank you for the report on him. Anyone try Magna Charge to see if he can toss baddies over the sides again? Or if Flashwing can heal fast? Both where soooo OP in Swap Force and those where my main characters for the game. They were both nerfed to being useless in Trap Team. This topic is going to be really useless if we base it on raw damage numbers from the previous game, because in that case every character is going to be weaker. They scaled back the numbers for damage. You have to compare the damage in Superchargers relative to other characters within Superchargers. 35-57 per shot is actually a lot of damage for this game. I am glad they made all of these improvements. The damage numbers in Trap Team were awful. Mostly curious about Magna Charge and Wallop. I feel wallop MUST have gotten nerfed. Right? Has anyone try Knight Light? Bushwhack is my main. Until High Volt comes out! Doesn't feel like it. He still seems o.p. right now. In fact I had to switch to someone else since he made it too easy on hard. Oh and how is Whirlwind? Y'know, I like all the buffs and nerfs they gave. Every character feels more balanced now. Trap Team's damage outputs were just so unfocused. You'd have one character whose most powerful attack dealt like, eight thousand damage, and another whose only dealt like, sixty. Focus is definately the word here. Unless they deal like 10 damage with heavy attacks now, everyone has a chance and is almost on equal footing - you just have to add your skills to the flaws. TT the gap was too big to be enjoyable. 1) Enigma - somewhat a little bit buffed in his staff ground slam. 2) Chopper - his propeller blades and missiles are still powerful and somehow buffed. 3) Gearshift - still the fastest and well-balanced Trap Mistress. 3) Whirlwind and Breeze - their Rainbow Singularity explode at the end once again deal with lots of damage. 4) Snap Shot - his Crystal Slam attack is still strong and his Traptanium Arrows, when charged up, can still deal with lots of damage. Yet, he becomes a little slower in charging his arrows. 6) Stink Bomb - can still remain invisible while attack and his tail whip attack is still powerful. His palm attacks are still faster when pressing the secondary attack button rapidly. His shurikens can deal with some decent amounts of damage, especially when charged up to throwing all four big ones in four different directions. 7) Tuff Luck - her secondary attack is still the strongest, especially in critical hit mode. Her invisibility still allows her to perform a powerful sneak attack. 8) Blackout - his ultimate black hole attack still does extremely heavy amounts of damage, and I think his shadow orbs have gotten stronger. His buzz saw attack while holding down the primary attack button after jumping makes him move a little faster than before (sort of like Sonic the Hedgehog). However, his immortality glitch is gone. Some of the Skylanders I have are still good enough to put up a tough battle, especially in Nightmare Mode. I agree with this assessment. There are also more run-ins with enemies/damaging traps in SC versus a few large fights and then back to jumping around for 5 minutes with nothing to hurt you. I am glad they made all of these improvements, the damage numbers in Trap Team were awful. I agree, all of the new characters were completely overpowered. I think High Five was modified heavily. - a lot of his aesthetics (from attacks to the wings' look) has been changed. Seriously, is it really that hard to simply import models from previous games and adjust the animations a little without ruining a Skylander...? Food Fight's artichoke mines' models are also incredibly huge! I'm glad Trap Masters are smaller and at least all the ones I tried so far work perfectly (maaaaybe Snap Shot's arrows are a bit slower) but... COME ON! I actually think High Five is better. He's a little slower but noticeably stronger and still great at keeping away. Pretty unsatisfied with Blackout's changes. He's pretty much the opposite of what he was in TT: a strong meleeist with some extra tricks, rather than a master at juggling enemies through all of his attacks. Also, his super black hole seems just as clunky to set up as it was in TT. Honestly VV did a much better with the TT characters in SSC then TfB with the SF characters in TT. A lot of the SF characters in TT had awkward animations and such. When SF characters jumped off high places they'd do their landing animation for a quick sec, then go back into their falling animations until they hit the ground. Riptide didn't do this spin then using his Hammerhead Melee attacks. Also, High Five's slow speed is only temporary. The follow isn't story spoilers but it has to do with Portal Master Rank rewards. Once you get to PMR 75 you can have 30 plus speed. Every character is fast and it's amazing. This is fairly misleading. Swap Force was far more balanced then Trap Team. VV took their damage blue print from Swap Force and balanced against that as opposed to bringing everyone up to broken trap team levels. It was a better move then trying to re-balance the top by bringing all the new characters in against their old numbers. In this way, no one new to trap team was "nerfed" per say but instead had their damage numbers created from scratch compared against what the field was during swap force. I understand most get excited when they see huge damage numbers, but it's all relative. Quite a bit of the trap masters still do the same volume of damage when compared against the pack. This was the smarter, more reasonable move. Simply put......yes. It's far more difficult then most of you realize and time consuming. Again, trap team did a lot of damage to the series with additional work load it added with the giant cast to include the "babies" and sloppy balance. Let's be greatful there is only 20 models to bring forward into the series. Any game would've done "damage", they just chose to risk messing up a few to tweak animations and models for everyone instead of a sloppy port. It worked in some places, didn't with others. Also, anyone managed to use Pop Fizz regular's Mutant Beast powers? I thought it was a glitch and he,Tree Rex and S3 Cynder had issues, but for the latter two found out that simply the window to hold down the button takes way longer. Pop Fizz' bat attacks just have a longer react time now. I just tried it with Punch Pop Fizz and don't expect anything different for my other Pop Fizz's. To answer one of the biggest changes, I used and she no longer does 800 damage sadly. Her powerful explosion now does I think only like 120 or so, but definitely not 800 anymore. In Superchargers standards that might as well be 800. Ok,maybe not that much,but it's up there with the strongest charge moves. Holy Crap! All the characters attack to much faster! Especially Pop Fizz! He lobs his potions extremely fast! A few questions on the nerfs and buffs. How are Dino-Rang's stonefists this time around? In the TfB ones, they acted as weak traps. In Swap Force, they acted as powerful knockbacks. Yet to play as my Enigma, but a lot of people said he was disappointing. How is he this time around? Regardless of what others say, I only like Ghost Roaster's ectoplasm path. He doesn't stop to bite people when in skull form, his ectoplasm mode works beautifully for avoiding, it moves quickly, and it hardly drains life in that path. Not to mention, when causing ghosts to explode (in SSA, SG, and SSF) they help you out big time. For those with a Ghost Roaster in the ectoplasm path, has it been buffed or nerfed from previous games? And my favorite, Hex. She's so different in all the games, it seems. So... how powerful is her S2 wow pow in this? Her basic ranged attack... is it fast for spamming like in SSA or a little slower like in SSF? How much damage can her bone wall absorb? Do attacks always stop her skull charge like in TfB games, or can she sometimes keep it going like in SSF?